For years I have told my kids that singers and songwriters should be prohibited from writing any songs for at least two years after they (or their wives) have had a baby. The reason for this is the oft-times sappy songs that appeal primarily to the performer and his or her immediate family. But today, I may be stepping on my own toes. As I am sitting in the hospital with my youngest daughter Andi, and her husband Jason, awaiting the arrival of a little girl named Harper, my mind travels back in time to the day Andi was born. Gwen, Andi’s mom started labor at seven o’clock that morning, and pushed for six hours. In those days, we didn’t want to know the gender of the baby until it was born—a big shift from today’s gender party’s, where friends and family gather together to find out if the couple is having a girl or a boy. We were shocked, and a little disappointed. We already had a girl and a boy, and were ready for another girl. For some reason we had our hearts set on it. To make matters worse, four-year-old sister Wendy had been fervently praying for a little sister, and fully expected God to deliver. In her mind, why on earth wouldn’t He? I distinctly remember telling Gwen, “Let’s just wait till the baby is here, and then I’ll have a ‘Sovereignty of God’ conversation” (with our four-year-old). The day finally came, and Gwen gave her final push. Out came—a little girl! Good thing we had some girl’s names picked too! Several minutes later, when we excitedly told Wendy that she had a little sister, she responded innocently, “I know.” There was no need for the sovereignty talk, unless I were to give it to myself. But today, Gwen is not here as Andi is in labor with her new little one. We wish she was here—we want her to be, but she can’t. Gwen looked forward to having grandchildren one day, but we know she’s watching from her eternal perspective, and she is happier than we can even imagine. It is a good day—a day of excitement and new birth. A day we welcomed into the world a sweet little 7 lb. 10 oz. 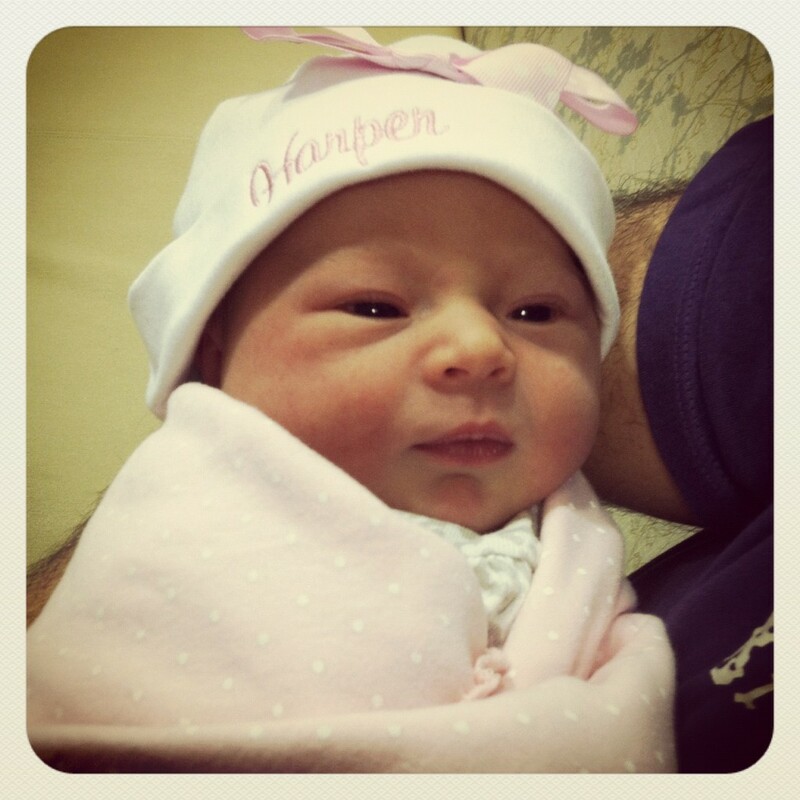 baby girl, named Harper Gwen Clemons.